Home / Results / Adding personality through environmental graphic design. 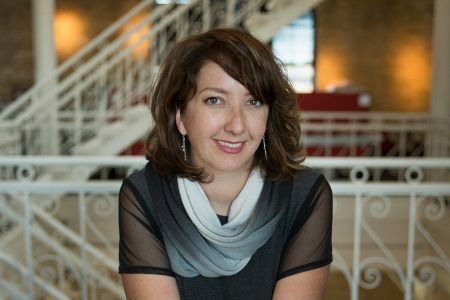 Working in close collaboration with either the architectural team, developer or building owners, RSP’s environmental graphics designers provide art direction for an entire space. For some clients, the artwork is an extension or activation of their brand while for others, the graphics simply activate a space. Our design team draws inspiration from the story of the space, the goals of the project and the surrounding context. Finished artwork is often a layered image incorporating photography and original art. Here are a few of our stories. Custom environmental graphics and branding for the @9 amenity center explore the energy and beauty of the city. Unique views of neighboring buildings in downtown Minneapolis were photographed and celebrated in patterns throughout the space, connecting the outside-in of this multi-tenant tower. This project was recognized with an Excellence in Design Award from MNCREW in 2017. For the full story, click here. The goal? Keep classic art relevant and modern. Using art from the museum’s permanent collection, the Rijksstudio Award tasks artists to reimagine classic artwork in a new and innovative way. 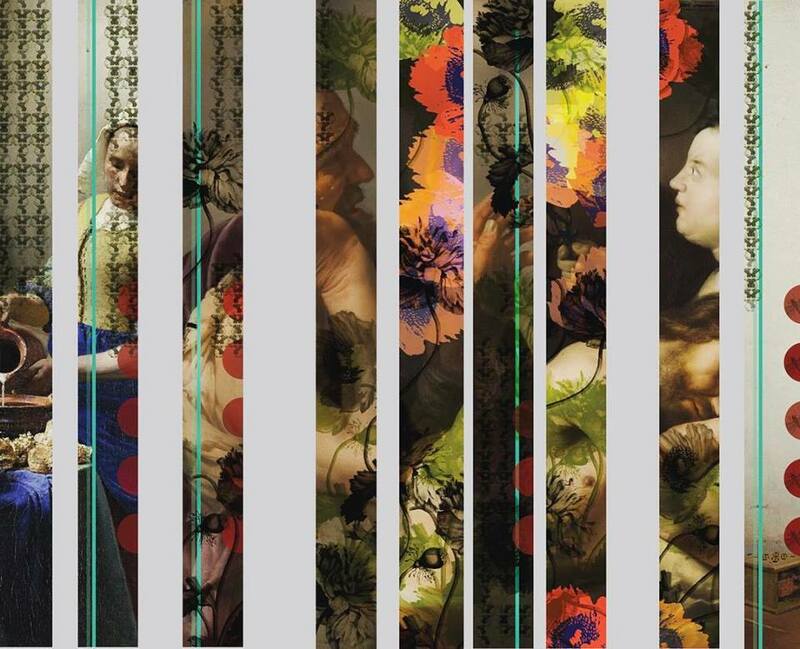 Our solution: a collection of wallpapers that create a modern approach to classic expression. The design honors the classical passion of great masters with a modern lust of color and layers, and has been featured in our own headquarters. Our submission includes design, branding, packaging and custom finishes. The design was recognized with an International Finalist Award in Design Excellence, 2017. Celebrating the diversity and contributions of Egan’s fourteen construction trades, we designed a 220′ lobby mural to visually communicate the devoted culture and mission of the organization. 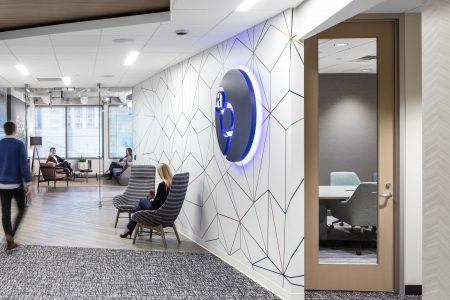 Incorporating existing branding elements in the space, we visually connected adjacent walls and singular glass installations, creating a dynamic entry experience for guests and employees upon arrival to the corporate headquarters. 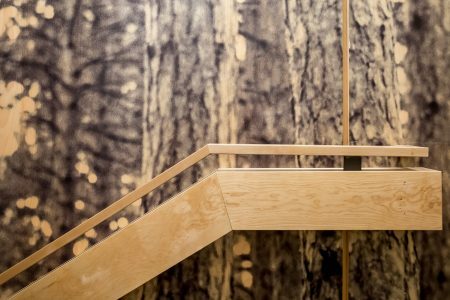 With an imaginative Sasquatch mascot and the interior concept inspired by the Wisconsin northwoods, the environmental graphics translate brand and culture in dynamic, creative installations. 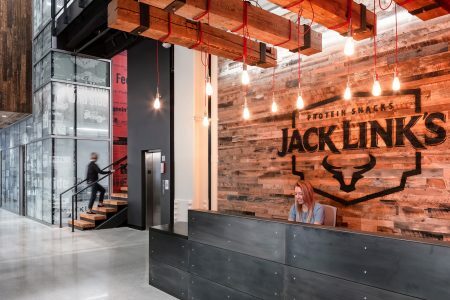 Archived hand-sketches, commercial storyboards and advertising concepts previously in storage were resurfaced and collaged into a design that meanders through the office, celebrating corporate history for employees and guests. Winner of the NEWH Blank Canvas Textile Design for 2015, MN Modern is an abstract design influenced by the colors of spring in Minneapolis along the Mississippi River and mid-century modern Scandinavian design influences. A landmark for construction, this seven-story all timber building was the first to be built in the US in over 100 years. T3 (timber, transit and technology) carried that momentous vision into the custom graphics, blending a sense of history with a clean approach to the work environment. 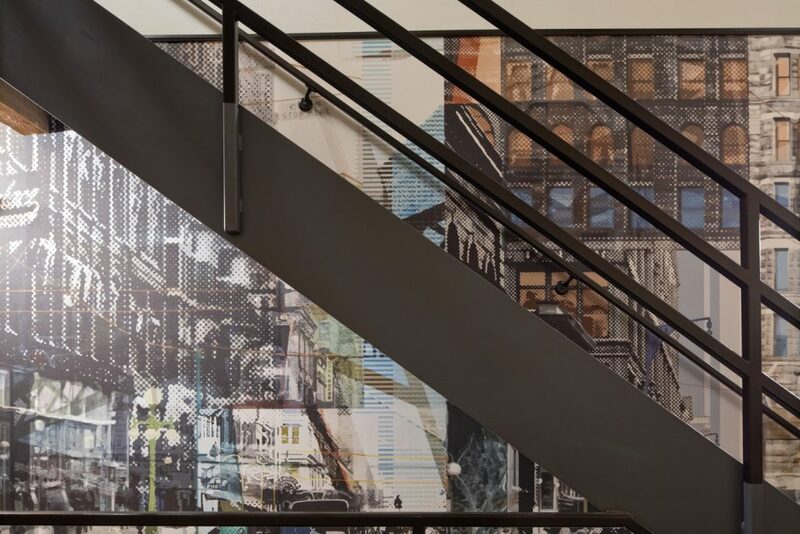 Our design unarchived a 1920’s glass slide image uncovered from the Historical Archives and stitched it across a two-story installation, printing directly on wood panels with black ink to capture the hand-hewn quality carried throughout the building. Surrounded by new properties and the need to reorient an entrance, the graphics created for Union Plaza are inspired by the brand voice of her sister properties, Dock Street Flats and T3. Combining the history of the building, site and relationship to a nearby bridge, our custom mural wraps around the entrance from the parking lot to the elevator core with a dynamic art expression.